This carving's details offer some insight into the life of a poor Malawian fisherman. Not only does he lack a shirt, but his shorts are ragged and torn. 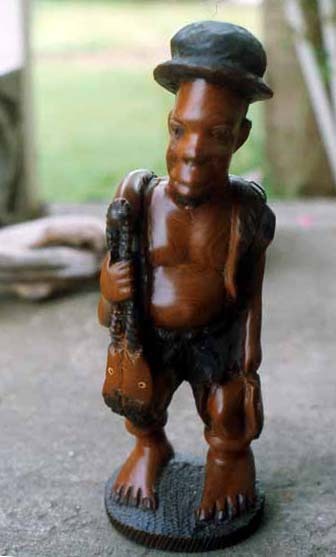 the observant souvenir hunter will enjoy looking for carvings that illustrate the life of Malawiansperhaps more interesting than the standard carvings of typical animals.